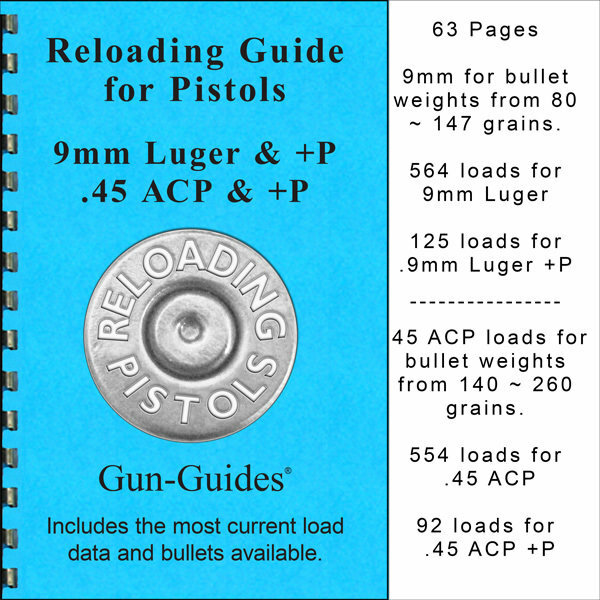 .45 ACP & +P loads for bullet weights from 140 ~ 260 grains. Complete data using bullets from Hornady, Nosler, Sierra, Speer, Laser Cast, Berry’s, Rushmore, Rainier, Remington, Bull-X, Montana Cast, Winchester, and many others. Includes jacketed, lead, and frangible projectiles.